Busy guiding. Today one of the places we visited was Ein Avdat. 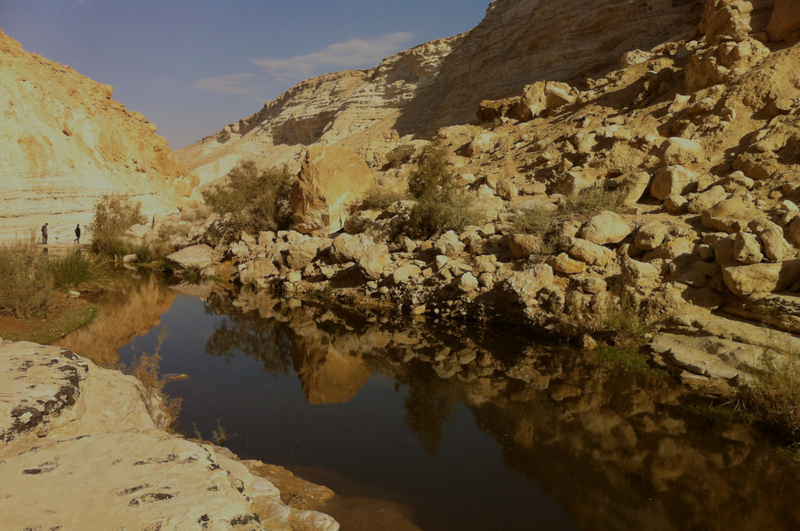 I’m always interested in capturing reflections of a landscape and the pool at Ein Avdat is a classic, you can see some photos here. This is a reflection at another place in the canyon. Photo was taken with my iPhone 4. This is my 280th blog post. Use the Categories, Tags or Search function to find other articles you might be interested in reading. This entry was posted in Hiking, Nature, Photography and tagged desert landscape, reflection in water on December 27, 2013 by Shmuel Browns.